Just a few weeks before his death, Steve Jobs revealed in an interview that he agreed to an authorized biography on his life so that his children could know why he wasn't always there for them. Jobs revealed his motivation in a conversation with Walter Isaacson, the author of his biography, weeks ago at his home in Palo Alto, Calif. At the time, according to Reuters, Jobs was in pain and too weak to climb stairs. "I wasn't always there for them, and I wanted them to know why and to understand what I did," Jobs said of his children to Isaacson. The details of Isaacson's last visit with Jobs are available in the Oct. 17 issue of Time magazine. The author revealed that Jobs was curled up and in pain in a downstairs bedroom, too weak to climb stairs, though his mind was said to be "still sharp and his humor vibrant." Isaacson visited with Jobs one last time to put the finishing touches on his authorized biography of Jobs, which will be published in just a matter of weeks, on Oct. 24. Publisher Simon & Schuster announced on Thursday that it had moved up the publication from its originally scheduled November debut in the wake of the Apple co-founder's passing. Isaacson is a Pulitzer Prize nominee who has previously written biographies of Benjamin Franklin and Albert Einstein. The book, entitled "Steve Jobs, will be available in a hardcover edition, as well as digitally through Amazon Kindle and Apple's iBooks. 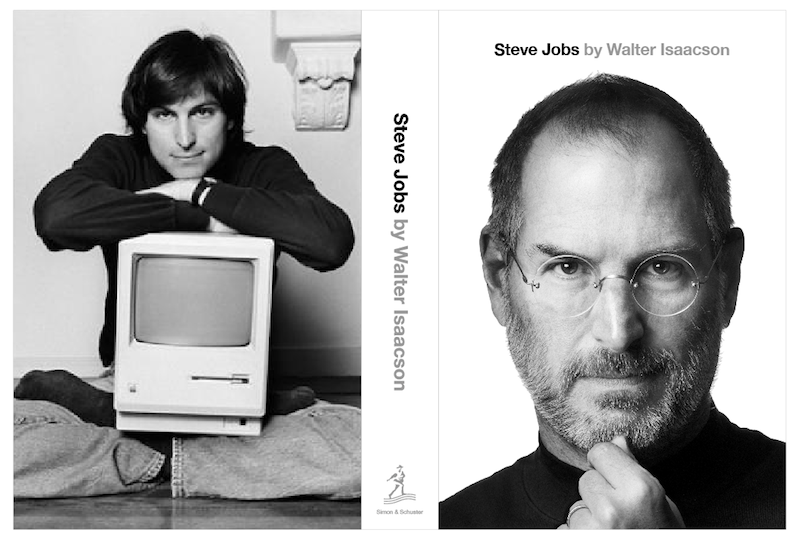 Jobs placed no restrictions on what Isaacson could write, and waived the right to read it before it was published. The publisher has promised readers a never-before-seen glimpse of Jobs, featuring interviews with "foes, former girlfriends, and colleagues he had once fired or infuriated." "Driven by demons, Jobs could drive those around him to fury and despair," the official description reads. "But his personality and products were interrelated, just as Apple's hardware and software tended to be, as if part of an integrated system. His tale is instructive and cautionary, filled with lessons about innovation, character, leadership, and values."